Rosenbaum IP is excited to be exhibiting once again at the Annual AUTM meeting in New Orleans from February 22-25, 2015. We look forward to meeting familiar faces, getting acquainted with new ones, and exploring new opportunities. Please stop by our exhibit to ask us any questions regarding Intellectual Property, as we will be in booth #214. We will have some fun giveaways and up-to-date literature on recent Intellectual Property developments. We hope to see you there! On February 5, 2015, Rep. Goodlatte reintroduced the Innovation Act, which was previously passed in 2013 by the House of Representatives by an overwhelming vote of 325-91. While it initially appeared that the 2013 bill would easily pass through the Senate, the first Innovation Act had no such luck. Instead, Senator Patrick Leahy (D-VT), Chairman of the Committee, announced on May 21, 2014 that the bill was being taken off the Committee’s agenda due to stakeholder disagreement. Despite the failure of the 2013 Innovation Act, bipartisan support for patent reform remains strong, and with the recent turnover in Congressional seats during the 2014 mid-term election, odds are in favor of the introduction of new legislation aimed at curbing abusive patent litigation. The Innovation Act has 19 co-sponsors, made up of 10 Democrats and 9 Republicans, making it a truly bipartisan bill. The new Innovation Act is identical to the 2013 Innovation Act and builds on the reforms that were made in the America Invents Act by addressing certain abusive practices taking place in our courts. While the Innovation Act has garnered significant support from many interest groups, including startups and technology lobbyists, it still is likely to encounter the same opponents and criticisms that the old Innovation Act faced. Should the House vote to approve the act, it will then be up to the Senate to consider the act and resolve any potential issues or disagreements by way of committee. Overall, the Innovation Act would make patent litigation more burdensome for plaintiffs. Discussed below are some of the main provisions and reforms introduced by the act. If the Innovation Act passes plaintiffs would be required to disclose at the outset of the litigation all ownership information to the other parties, the court, and the USPTO. Included in this disclosure is the patent assignee, any person or entity with a financial interest in the patent, and any person or entity with a right to sublicense or enforce the patent. The proposed Innovation Act also requires plaintiffs to disclose significantly more information in its initial pleadings than previously required. Patent-plaintiffs would be required to explain why they are suing a particular defendant in their court pleadings. The bill also requires courts to decide early on whether a patent is invalid to discourage plaintiffs from dragging out lawsuits in an attempt to obtain settlements. The proposed bill also introduces a fee-shifting structure that departs from the traditional rule that each party bears the cost of its own attorney’s fees. Under the new provision, judges would be required to make parties who bring lawsuits that are not “reasonably justified in law and fact” to pay their opponents’ legal fees. This section is arguably the most controversial provision of the bill and the one responsible for Sen. Harry Reid refusing to bring the original Innovation Act to the Senate floor. The bill would create a presumption of awarding attorney fees to the prevailing party. Under this structure, a court would be required to award attorney fees and “other expenses” to the prevailing party “unless the court finds that the position and conduct of the non-prevailing party or parties were reasonably justified in law and fact or that special circumstances (such as severe economic hardship to a named inventor) make an award unjust.” This provision serves as a drastic change from the current standard in patent cases where attorney fees are only awarded in “exceptional cases.” The bill also discourages a patentee from offering a covenant not to sue as a means to settle infringement litigation, making such an offer an admission that the patentee is the “non-prevailing party” and thus a risk for an award of fees and costs to the accused infringer (Sec. 3(b)(1)(c)). The proposed act also introduces changes to the discovery requirements, including mandatory disclosure of standard setting organizations (SSOs) obligations. Under this provision, the Judicial Conference would consider “documents relating to any licensing term or pricing commitment to which the patent or patents may be subject through any agency or standard-setting body” to be part of the “core documentary evidence” and must be provided by the plaintiff to the defendants in every litigation. On February 4, 2015, the United States Court of Appeal for the Federal Circuit issued its decision in the first appeal of a final decision by the Patent Trial and Appeal Board (“PTAB”) in an inter partes review (“IPR”) proceeding. In its decision, the Federal Circuit held that institution decisions rendered by the PTAB are never reviewable on appeal, and the PTAB is entitled to apply the “broadest reasonable interpretation” standard for claim constructions in IPR proceedings. Cuozzo Speed Technologies, LLC (“Cuozzo”) owns the patent at issue, which relates to a vehicle navigation system “interface which displays a vehicle’s current speed as well as the speed limit.” On September 16, 2012 Garmin International, Inc. and Garmin USA, Inc. (collectively, “Garmin”) petitioned the USPTO for inter partes review of claims 10, 14, and 17 of the ’074 patent, and the USPTO granted Garmin’s Petition. The Board found that claims 10, 14, and 17 were invalid for obviousness in view of the prior art. The Board also denied Cuozzo’s motion to amend claims 10, 14, and 17 by replacing them with new claims 21, 22, and 23, respectively. Cuozzo also challenged the Board’s obviousness conclusions, arguing “that the Board should not have applied the broadest reasonable interpretation standard in claim construction.” In response, the Federal Circuit discussed the history of applying this standard and found “no indication that the AIA was designed to change the claim construction standard that the PTO has applied for more than 100 years.” The Federal Circuit concluded that Congress implicitly adopted in the AIA the broadest reasonable interpretation standard for inter partes review proceedings. The Federal Circuit further mentioned that even if the Board went beyond the requirements outlined by the statute, the PTO was entitled to establish the standard under its rule-making authority and that deference would be given to the agency under a Chevron analysis. The Federal Circuit applied the standard of review for claim construction recently set forth by the U.S. Supreme Court in Teva Pharmaceuticals U.S.A. v. Sandoz, Inc. In doing so, the Federal Circuit found no issue with the Board’s construction of the claims, its determination that the claims were obvious, or its determination that the patentee was not entitled to amend its claims. In Teva Pharmaceuticals USA, Inc. v. Sandoz, Inc., the Supreme Court addressed the question of what the standard of review should be for patent claim construction. In its decision on January 20, 2015, the Court held that a federal appellate court could only overturn a district court’s factual findings if those findings were determined to be clearly erroneous. This holding modifies the longstanding de novo standard used by the Federal Circuit when reviewing claim construction. While trying to generate certainty for district court claim construction decisions and decrease the reversal rate of claim construction decision by the Federal Circuit, the Federal Circuit may focus on the legal analysis and intrinsic evidence to keep claim construction de novo. The case involves a patent dispute over the multiple-sclerosis drug Copaxone. Teva Pharmaceuticals owns several patents directed to copolymer-1, which is the active ingredient found in Copaxone. Teva sued Mylan and Sandoz for infringement based on their applications seeking FDA approval to produce and market generic versions of Copaxone. At issue before the district court was how to construe the term “molecular weight.” Sandoz argued that the term “molecular weight” in the claims at issue was indefinite because it was unclear how the molecular weight was calculated. In support of this indefiniteness argument, Sandoz proposed three different definitions for “molecular weight.” However, based on the specification, prosecution history, and testimony from Teva’s expert, the District Court construed the term to mean peak average molecular weight and therefore found no ambiguity based on what a person having skill in the art would understand “molecular weight” to mean. Consequently, the district court held that the Sandoz and Mylan products infringed on Teva’s patents. On appeal, the Federal Circuit applied a de novo standard of review and reversed, reasoning that the term “molecular weight” is indefinite because the claims do not indicate which molecular weight measure is intended. The Supreme Court granted Teva’s petition for writ of certiorari to address whether a district court’s finding of fact in the construction of a patent claim should be reviewed de novo, as the Federal Circuit requires, or for clear error, as Federal Rule of Civil Procedure 52(a) requires. Teva argued that Federal Rule of Civil Procedure 52(a) requires deferential review of fact-findings, even when a question of law rests on these fact-findings. Further, Teva argued that fact-findings regarding the state of the art are entitled to deference. On the other hand, Sandoz argued that since claim construction is a “purely legal” question, Federal Rule of Civil Procedure 52(a) does not apply. The decision is significant because claim construction has become such a major component of patent litigation and because the Court of Appeals for the Federal Circuit (CAFC) has a propensity of reversing a large number of claim construction decisions. Under this ruling, determinations regarding evidence “intrinsic to the patent” will continue to be reviewed de novo on appeal. However, determinations regarding “extrinsic evidence” will now be reviewed with deference on appeal. The act of consulting a dictionary – which is how a court might determine “the meaning of a term in the relevant art during the relevant time period” – seems entitled to deference. However, this decision will serve to generate endless disputes over what is extrinsic vs. intrinsic evidence and what are isolated boundaries vs. contextual boundaries. The legal analysis is still required for claim construction which will be reviewed de novo by the CAFC. And intrinsic evidence may be viewed as determinative in claim construction by the CAFC as to retain de novo review… thus the CAFC may still have a high reversal rate for claim construction decisions and less certainty for district court decisions. The United States Patent and Trademark Office released its FY 2014 Performance and Accountability Report and reported that 50.9% of the patent applications filed at the office in 2014 came from non-U.S. Residents. This is consistent with the prior year trend of increases in the percentage of foreign patent applicants. The continued increase in foreign origin patent applications is an indication of the overall health of the United States patent system. Foreign investment in our patent system represents confidence in both our patent system and in our court system to enforce the patents issued by the United States Patent and Trademark Office. The increase in foreign origin patent applications in the United States is consistent with the overall trend of increased patent application filings by foreign origin applicants at the European Patent Office, the Japan Patent Office, the Korean Intellectual Property Office and the Chinese Intellectual Property Office (SIPO). In combination with patent law harmonization efforts that have progressed over the past twenty years, the global nature of these increases indicates confidence in the major national and regional patenting authorities and legal systems to enforce the ensuing patent rights. Disclaimer: This content is provided for general informational purposes only. Any information contained in this post should not be construed as legal advice and is not intended to be a substitute for legal counsel on any subject matter. No recipient of content in this post (whether clients or otherwise) should act or refrain from acting on the basis of this content without seeking the appropriate legal or other professional advice on the particular facts and circumstances at issue from a lawyer licensed in the recipient’s state, country or other appropriate licensing jurisdiction. On December 5, 2014, the Supreme Court granted certiorari in Commil USA v. Cisco Systems to decide whether a defendant’s good-faith belief of patent invalidity is a defense to induced infringement under 35 U.S.C. §271(b). A ruling is due by the end of June and could prove significant for patent litigation involving intent or knowledge standards as a defense to liability. Commil holds a method patent for implementing short-range wireless networks (“hand-offs”). These hand-offs result when a mobile device changes wireless access points on a network. Commil’s patent provides a method for faster and more reliable hand-offs. Commil sued Cisco for direct infringement and induced infringement. Commil alleged that Cisco prompted its customers to infringe Commil’s patent through the use of networking equipment that Cisco manufactured. Under 35 U.S.C. § 271(b), to induce infringement, a defendant must ““knowingly induce infringement and possess specific intent to encourage [another party’s direct] infringement.” Prior to trial, Cisco provided evidence demonstrating its good-faith belief that Commil’s patent was invalid. However, the district court excluded the evidence and provided jury instructions imposing liability for inducers that were at least negligent to the fact that their actions would induce infringement. Consequently, the jury found Cisco liable for induced infringement. On appeal, Cisco argued that (1) the district court improperly excluded evidence of its good-faith belief of invalidity and (2) the jury instruction on induced infringement was erroneous because it allowed the jury to find inducement based on mere negligence. 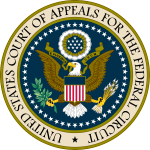 The U.S. Court of Appeals for the Federal Circuit agreed with Cisco’s arguments, holding that: (1) the jury should have been allowed to consider the evidence of Cisco’s good-faith belief of invalidity and (2) the jury instruction on induced infringement was erroneous as a matter of law and prejudiced the outcome. The Federal Circuit relied on the standard for induced infringement set forth by the Supreme Court in Global-Tech v. SEB which requires “knowledge that the induced acts constitute patent infringement,” a requirement that can be satisfied through actual knowledge or willful blindness. Under this standard, the Federal Circuit reasoned that induced infringement liability is precluded when the facts only support recklessness or negligence on the part of the inducer. Because the district court’s jury instruction erroneously allowed a finding of liability based on mere negligence rather than actual knowledge or willful blindness, the Federal Circuit found that the outcome was prejudiced. Consequently, the Federal Circuit vacated the district court’s holding on induced infringement and remanded for a new trial. On January 23, 2014 Commil filed a petition for a writ of certiorari, challenging the Federal Circuit’s approval of Cisco’s good-faith belief of invalidity as a defense and the jury instruction regarding inducement. In response, the Court requested the Solicitor General to file an amicus brief on whether certiorari should be granted. The Solicitor General’s brief supported the grant of certiorari and argued that a defense based on the accused inducer’s good-faith belief in the patent’s invalidity may undermine Section 271(b)’s efficacy in deterring and remedying infringement. The Supreme Court’s decision may be significant for future cases involving intent or knowledge standards as they relate to induced infringement. If the Court affirms the Federal Circuit decision, alleged infringers accused of inducing others to infringe will have a new defense to induced infringement based on their own analysis of the validity of patent claims. Critics of the Federal Circuit decision contend that an actual knowledge standard would drastically weaken the Patent Act’s provision of liability for inducing infringement and provide infringer’s with an escape hatch from liability. Further, opponents of the Federal Circuit decision argue that disproving a good faith belief would be very difficult to refute, since alleged infringers produce self-serving evidence. On the other hand, supporters of the decision assert that actual knowledge is the appropriate standard and that a good-faith belief is just one piece of evidence to consider. The United States Patent and Trademark Office (USPTO) has issued revised guidance to its examiners relating to determination of patent eligibility under 35 U.S.C. §101. This “Interim Guidance” provides more specific advice for evaluating claims directed to any technical field, but is of particular relevance to patent applications includes “nature-based” and biotechnology technologies. The previously issued guidelines included a multifactor approach which resulted in a great deal of uncertainty about the appropriate standard for examination of “nature-based” products. While no bright line rule yet exists, the newly issued Interim Guidance does provide a simpler two-step analysis framework for consideration of issues related to patent eligibility. In 2014, the USPTO has issued to its examination corps two sets of examination instructions relating to patent eligibility under §101. First, on March 4, 2014, the USPTO issued a “Procedure For Subject Matter Eligibility Analysis Of Claims Reciting Or Involving Laws Of Nature/Natural Principles, Natural Phenomena, And/Or Natural Products” (the “Myriad-Mayo Guidance”). Earlier this week, on December 16, 2014, the USPTO issued new Guidance on Patent Subject Matter Eligibility (the “Interim Guidance”) that supersedes the Myriad-Mayo Guidance. The Myriad-Mayo Guidance received overwhelming public criticism and the USPTO itself admitted that that it raised several controversial issues while being unnecessarily broad. The Interim Guidance was long-anticipated by practitioners in the biological and pharmaceutical arts, as the complicated framework of the Myriad-Mayo Guidance is now replaced by a more straightforward analysis. According to the Interim Guidance, patent eligibility of a claim including a nature-based product is determined under a two-step test. The Interim Guidance addresses some difficulties identified in public comments regarding the “markedly different” analysis. In particular, the Interim Guidance specifies that “functional characteristics and other non-structural properties can evidence markedly different characteristics.” In the prior Mayo-Myriad Guidance, “only structural changes were sufficient to show a marked difference.” Now, a claim directed to a “nature-based product” can avoid the “significantly more” analysis of the 2nd step if the claimed product has any “markedly different” characteristics from the naturally occurring product, where “structure, function, and/or other properties” are to be considered when making the “markedly different” determination. One example presents a purified protein as being patent eligible because there is a resultant change in characteristics sufficient to show a marked difference from the product’s naturally occurring counterpart. Moreover, the Interim Guidance states that “[w]hen the nature-based product is produced by combining multiple components, the markedly different characteristics analysis should be applied to the resultant nature-based combination rather than its component parts.” Thus, a combination of nature-based products may be patent-eligible if it has markedly different characteristics than any naturally occurring counterparts of the combination or the individual components. Moreover, the Interim Guidance excludes a process claim from the markedly different analysis for nature-based products used in the process, “except in the limited situation where a process claim is drafted in such a way that there is no difference in substance from a product claim (e.g., ‘a method of providing an apple.’).” This is a welcome change from the previous guidance such that that process claims usually will not raise eligibility issues for reciting nature-based products. While the additional examples in the Interim Guidance of limitations provide a simpler scheme, it does not provide a bright line test for what is and is not patent eligible. Such a bright line rule appears unlikely to be forthcoming from the courts in the near future. Patent practitioners and applicants can take some comfort, however, in the broader base of potential arguments available for rebutting a rejection based on alleged lack of patent eligibility. A study on patent applications released this summer by BIO and Bloomberg BNA found that roughly 40% of reviewed claims similar to the ones under scrutiny in Mayo and Myriad received a Section 101 rejection. However, under the Revised Guidance, some of these rejected claims would be patentable subject matter. The take away for practitioners and applicants is to present claims that highlight such features and/or that truly add meaningful limitations recited in a manner that does not give the appearance of precluding any way of practicing a concept that is amenable to characterization as one of the judicial exceptions. The new analysis focuses on the claims as a whole and on the “markedly different” properties of the claimed subject matter as compared to the natural counterpart product. However, the Interim Guidance provides what appears to be a more workable framework. While the Interim Guidance may be helpful to many applicants with claims involving natural products, it does not provide much discussion of diagnostic or personalized medicine method claims. The USPTO may be waiting for further guidance from the Federal Circuit on these types of claims, and until then includes only the Prometheus claims in its examples.